Bitcoin is finally finding its stride in its seventh year, as the cryptocurrency has slowly managed to infiltrate the mainstream with many industries adopting it for their payment solution. 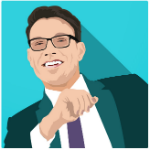 This has increased the number of users and brought Bitcoin into the spotlight. 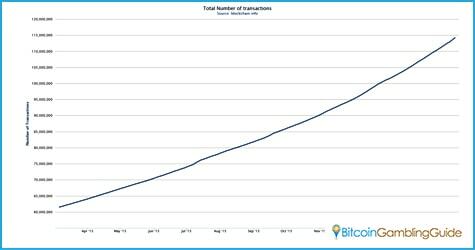 The trouble is that Bitcoin transactions are starting to slow down. This week saw the cryptocurrency hit its payments limit. This has resulted in stranded transactions, which is a disappointment for many who have come to expect lightning-quick transactions. There have been even reports of some merchants dropping Bitcoin altogether over this recent fiasco. This transaction slowdown has actually been a long time coming. The problem can be traced to how the Bitcoin network was conceived. The backbone of the entire process is the fact that to ensure the security and validity of all the deals in the network, a public copy of all transactions needs to be maintained. For a new set of transactions to be added to this public ledger, they require processing by the network. This is done by dividing them into blocks and having “miners” ensure that they are valid. The trouble is that the blocks are sized at 1MB which is just enough for seven transactions per second. Compare this to fiat currency-based financial institutions that deal with hundreds of thousands of transactions per second. 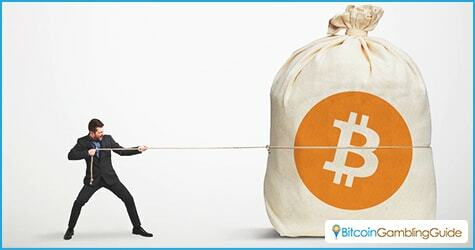 With Bitcoin’s increasing popularity, the limit would inevitably be reached. At its worst, this week’s transaction congestion reached a staggering 20,000 transactions waiting to be processed. Many in the Bitcoin development community have been lobbying for a larger block size to increase capacity but the issue is still up in the air. The slowdown may also not be completely natural. Analysts note that the network was deluged by transactions that had a higher than normal transaction fee. Most Bitcoin transactions have a fee attached to them that is paid to those who process the transaction. The usual fee is around 0.0001 BTC or about $0.04. The problem is that a transaction with a higher attached fee is given priority. With the large amount of deals that entered the network with the higher fee, many low-paying transactions were bumped down in priority, adding even more to the slowdown. This transaction gridlock means a lot of things for Bitcoin users. For one, it highlights the current shortcomings of the network. With more people using Bitcoin, people can expect the transaction limits to be hit once again, resulting in another round of delays. Additionally, the fact that higher transaction fees can increase transaction priority can only mean that the low deposit and withdrawal fees that people are currently enjoying will go up. For Bitcoin gamblers, both of these are problematic. Players in Bitcoin casinos prefer using the cryptocurrency because of the speed of transactions and the fact that the low transaction fees do not eat into their winnings. With these crises, players’ belief in Bitcoin may be in jeopardy. With the Bitcoin halving set to happen this year, players can then expect positive results like an increase in Bitcoin price. Should this happen, they will still be at an advantage since they can exchange their winnings for a higher rate. By then, a solution to the delay in transactions may have already been put to action, which will only strengthen Bitcoin’s role in online gambling.